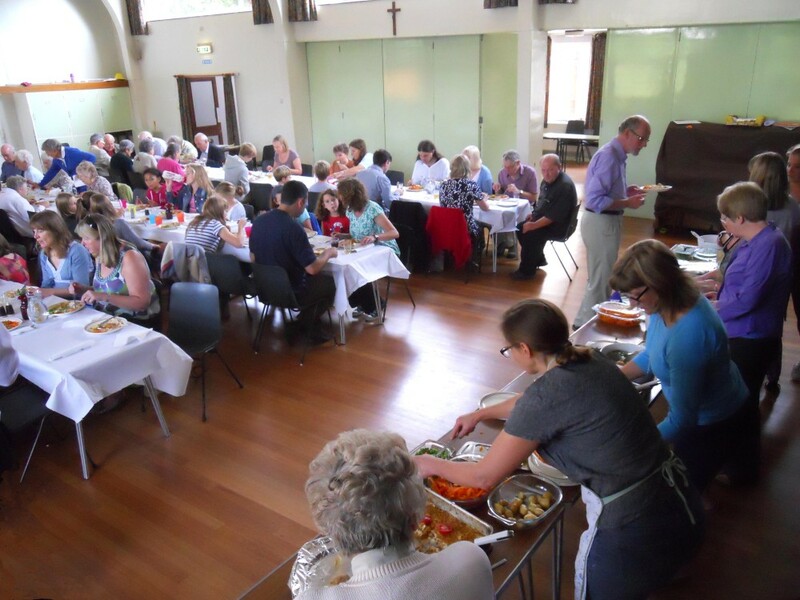 St Mark’s Church Centre is available for outside use by local groups, companies, clubs and for social purposes. 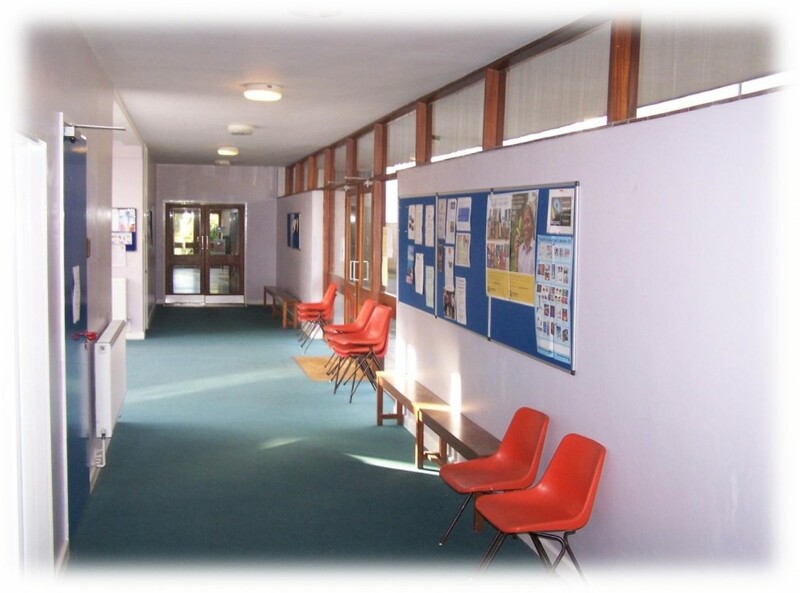 The Church Hall and the Church: the church is connected to the hall by a connecting foyer and corridor. In this corridor there are newly refurbished ladies' and men's toilets and a toilet for the disabled. The toilets are equipped with a nappy changing facility. A door from the foyer opens onto a car park which has thirty-three parking spaces including a space for the disabled. 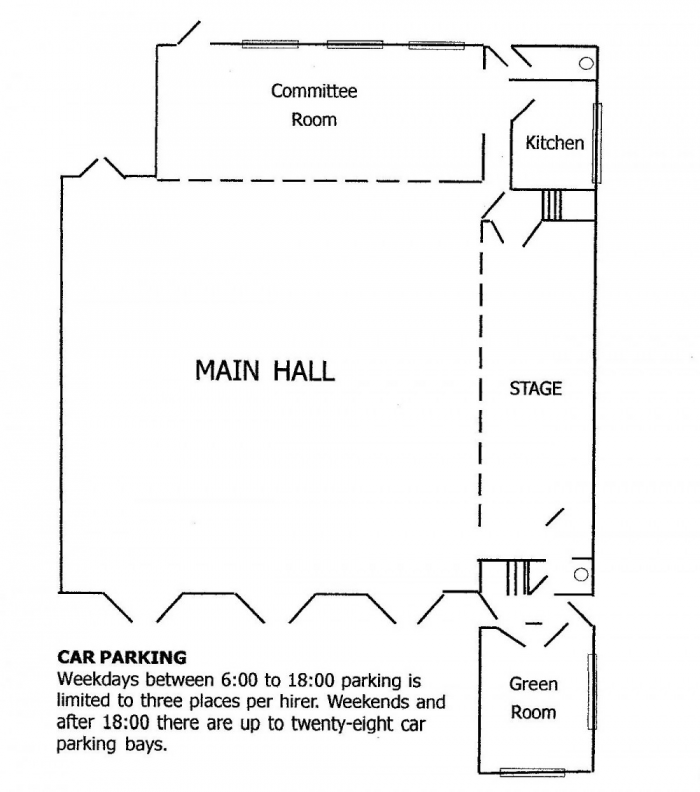 During the working week most of these spaces are used by a local company during the day, but there are always five car parking spaces available to Church and Hall users: notionally 2 for the Church and 2 for Hall Users plus the space for the disabled. After 6.00pm and all day on Saturdays and Sundays, all the parking spaces are available (33 spaces). There is also a kitchen. The main area of the hall is approximately 45 feet x 41 feet (13.6m x 12.3m) with three internal entrances and three external entrances onto a garden area. The floor is highly polished wood, with underfloor heating. The stage is approximately 30 feet x 15 feet (9.1m x 4.6m). There is a large projection screen (3.5m x 2.6m), stage lighting for normal productions and full length, heavy curtains, operated from one side of the stage. There are exits on both sides of the stage, additional tab curtains and flies. This is approximately 15 feet x 18 feet (4.5m x 5.5m) is adjacent to the stage. It is used as a unisex changing room which could be separated in two by a full size curtain or accommodate small meetings up to fifteen persons. It has its own toilet facility. This is approximately 31 feet x 16 feet (9.6m x 4.7m), and can be joined to or divided from the Main Hall by a partition. The Committee Room area can easily accommodate meetings of forty people. It can be accessed from the foyer and is near to the kitchen. Continuous hot water and superheated water for tea and coffee. A six ring gas cooker with large oven with extractor fan. Storage cupboards and a fridge. Access to the Kitchen and Halls is available directly from the car park. 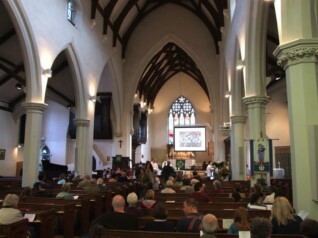 In the Church there is a projector and fold away screen. There is a microphone system with hearing loop and a lighting facility. Security is covered by three CCTV cameras. We are lucky to have these comprehensive facilities for both church use and for use by our local community. If you are interested in finding out about hiring and using any of our facilities please see the 'Bookings' page for more details.